Time to taste the Citra Blonde Ale! It has been in the keg for about two and a half weeks, and turns out to be an incredible beer. Clear with just a very faint haze. The head is white, medium-fine, of moderate size, and persistent. Very lightly malty, with a refreshing hint of citrus. “Juicy” is the best descriptor; that flavor is robust but not overwhelming. The hops are definitely in the foreground, and I can pick out light citrus. It’s really interesting how “juicy” this beer is – I can’t say I’ve ever picked up on this before in my beers, but it’s definitely there. It’s almost like a bit of watermelon was squeezed into the beer. The hops are noticeable more for the flavoring and aroma than bitterness. Moderate body and carbonation, as is appropriate for this style. Absolutely! This is an incredibly tasty beer, which really nails a unique set of flavors and aromas. I love pretty much everything about it! The special techniques–including no-sparge–as well as the Citra hops added up to something quite nice. It’s interesting how different it is as a blonde ale from my other favored recipe, the Summer Blonde Ale. 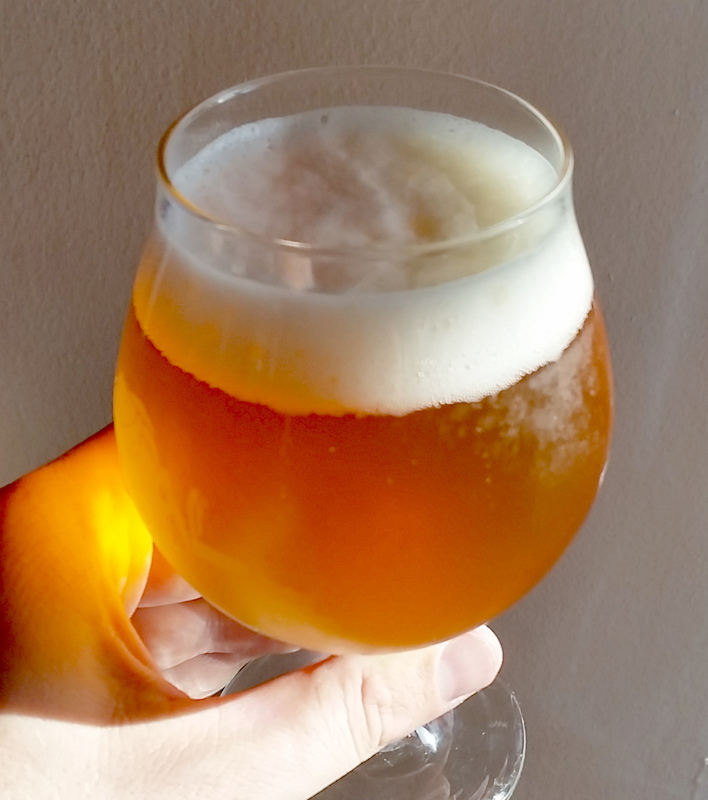 This entry was posted in blonde ale and tagged CBA, Citra Blonde Ale. Bookmark the permalink.